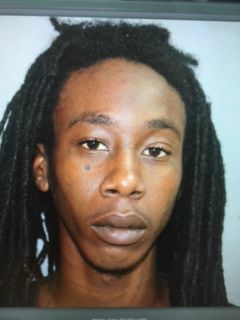 CHARLOTTE AMALIE — Police arrested a St. Thomas man on Sunday for a jewelry store robbery that took place three years ago. On Sunday September 4, 2016, at 9:00 a.m. police with the Criminal Investigations Bureau executed a warrant issued by a St. Thomas Magistrate, 21-year-old Wahilli N. James was wanted for Robbery 1st Degree for a St. Thomas Jewelry Store in 2013. James’ bail was set at $150,000.00, unable to post bail James was remanded to the Golden Grove Detention Center. Shaquielle Corre, 21, a was also arrested September 4, at approximately 9:05 a.m. pursuant to a warrant by a St. Thomas Superior court judge for Robbery 1st Degree, for a St. Thomas Jewelry Store in 2013. No bail was set for Correa; He was remanded to the Golden Grove Correction Center, Both warrants were issued on St .Thomas and executed on St. Croix. This is part of an ongoing Inter-Island VIPD Initiative.